Listening to shareholders is key to making informed decisions about a club's future, especially when all the homes are owned by the members. Recently M Private Residences made several changes to their offerings as a result of a shareholder focus group and looking at usage patterns over the club's history. "We have modified the program because we wanted to provide a variety of membership plan to fit different lifestyles," says EVP Ken MacLean. "What we have learned is that what people say and what they do are often different things. We have restructured our offerings to align with the actual historical travel patterns." Part of the restructuring includes an additional membership level. Originally the club had "A" and "B" shares. Now M Private is offering three individual plans and one shared (2 family) plan. Refer to the chart below for details. MacLean describes the membership plans through the eyes of his shareholders: "We have the 35-day Quest plan which is great for family travel. You have the holiday trips, a boys' golf escape, a girls' getaway, a summer family vacation and some extra time to use as desired. Then, for Odyssey plan users, travel is so much a part of who they are the 60 days is consumed fairly easily for them." Starting out 2008 with 138 shareholders, the club is soundly moving forward with new property acquisitions. Because M Private wants to ensure personalized service to their Shareholders, they have recently placed a cap on membership numbers and properties. The goal is to reach 60 properties and approximately 500 shareholders. "Our members do not want cookie-cutter homes, they want homes with character. This is what our shareholders have come to expect," says MacLean regarding the newly instated property cap. "By capping the homes at 60, we can keep it personalized and maintain close Shareholder relationships with the local hosts and concierges, ensuring the level of personalized service that we have been known to provide." The cap on properties is also a long-term investment opportunity for shareholders. "To reward long term participation upon reaching the goal of 60 homes our transfer fee is reduced to 4%. So you get 96% of whatever the share price is at that time and redemption is on a 1 to 1 basis." If a member were to sell today, they would only get the 80%. But if they wait until the 60 homes are all purchased, they would then enjoy staying long term while helping the club reach its 60-home goal. See the chart below. The club has also introduced a reserve fund, similar to a condominium capital fund. As an equity destination club, M Private Residence's goal is to ensure the maximization of the end investment portfolio. The reserve fund provides the capital to maintain the value of the assets and fund any investments. This fund is used strictly for extraordinary capital improvements (i.e. new roof) to the properties. Any use of this fund requires board approval. See chart below for membership levels and reserve fund fees. M Private Residences has a well-established corporate government structure. Their board is comprised of six shareholders and three representatives of the management company. This structure gives the shareholders the control to make strategic decisions and work with the management to move forward. The shareholders are involved with all aspects of property purchases, budgets and fund allocation. 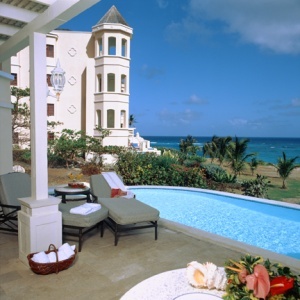 M Private Residences is an asset-secured portfolio of resort property investments collectively owned by Members. M offers exclusive and convenient access to multimillion dollar vacation homes across the globe.